Dr. Alice B. Aiken prides herself in being an astute time manager and a “chronic networker.” Two things that definitely come into play when you’re the scientific director of an organization that sees to the well-being and care of Canadian military personnel, reservists, veterans, and their families through world-class research that results in evidence-informed practices, policies, and programs. 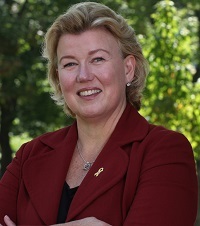 Apart from being the founder and scientific director of the Canadian Institute for Military and Veteran Health Research (CIMVHR), Alice is also a professor and the associate director of the School of Rehabilitation Therapy, as well as, head of the Physiotherapy Program, of the Faculty of Health Science at Queen’s University in Kingston, Ont. Alice also proudly served in the Canadian Forces for 14 years, first as a ship’s navigator in the Navy, and later on as a physiotherapist. She is a past president of the Canadian Physiotherapy Association and currently the honourary commander of 33 Health Services-Kingston for the Canadian Forces. I started out my working life in the Navy. After leaving the Navy I worked clinically and then became an academic. In 2009 I worked with BGen (Ret’d) Bill Richard, my former Base Commander, and the then Surgeon General Cmdr. Hans Jung to engage people and develop a concept for CIMVHR. In 2010 we launched CIMVHR – now a network of 41 Canadian and seven international universities dedicated to researching the health needs of military personnel, veterans, and their families. Q What is your role in your organization today? I am the scientific director. In the beginning, it was forming an institute like no other. We work at arms-length from DND and VAC, but we ensure we are fulfilling their needs and doing relevant research that can be rapidly translated into policies, programs and treatments that benefit military personnel, veterans and their families. Read about other Game Changers, click on this link. Q What was your aha moment or epiphany that you think will resonate most with our readers? Tell us that story. I think my aha moment came when I realized how committed the Canadian academic community is to our national heroes. I had very senior, accomplished academics help us get started because they suddenly realized that their father or grandfather had been suffering from PTSD, but no one knew what it was. Now they had the research and were able to re-frame their life in the context of what we know now. Q What was the best advice you ever received? Build a great team, work hard and you will achieve your goals! That we have built a way for cutting edge research to be incorporated into new policies, practices and programs – and it is happening! I am an excellent time manager, I have a great team, and I am a chronic networker – I am always linking people and organizations for the advancement of military and veteran health. Think big, start small, move fast and collaborate. I believe commodities-based organizations are very innovative. The consumer demands innovation and technology within the commodity sector. For example, within grocery supply chains, if a specific product is recalled, they know exactly how many went out, where they went, and they can be off the shelf within hours. We have nothing like that in academia or the health care sector. 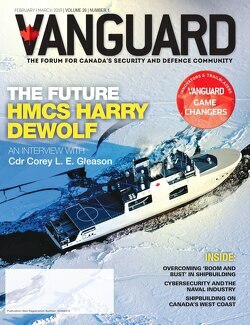 Q How is the CIMVHR changing the game in its space? As an academic organization, we have a very unique and focused way of bringing together researchers, government, industry, and philanthropic organizations to focus on the health of military personnel, veterans, and their families. No other organization works like ours. The lack of recognition by the federal research granting agencies that military and veterans constitute a unique segment of society, so it can be difficult for our researchers to get grants focused on this population. We have built this unique organization from the ground up. Since there is nothing else quite like it, we have had to be innovative to get us where we want to go. We got here by being innovative. It is simply how we do business. Our real “industry” is research. I believe the technologies and trends that will drive the biggest changes for us are in terms of mining data. I believe we will be able to use population-based data combined with cognitive computing and electronic medical records to ensure the best data is available to inform health policy-making, program development and personalized treatments.